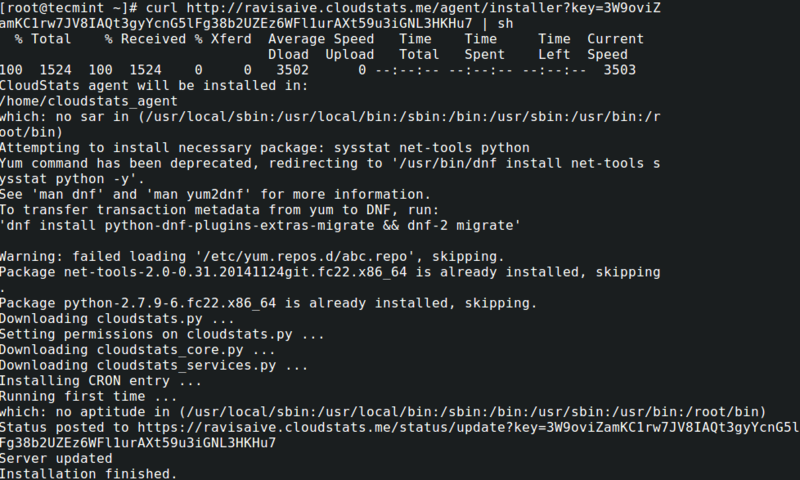 It is easy to install CloudStats agent on your Linux server (CentOS / Debian / Ubuntu / Fedora etc.). 1. 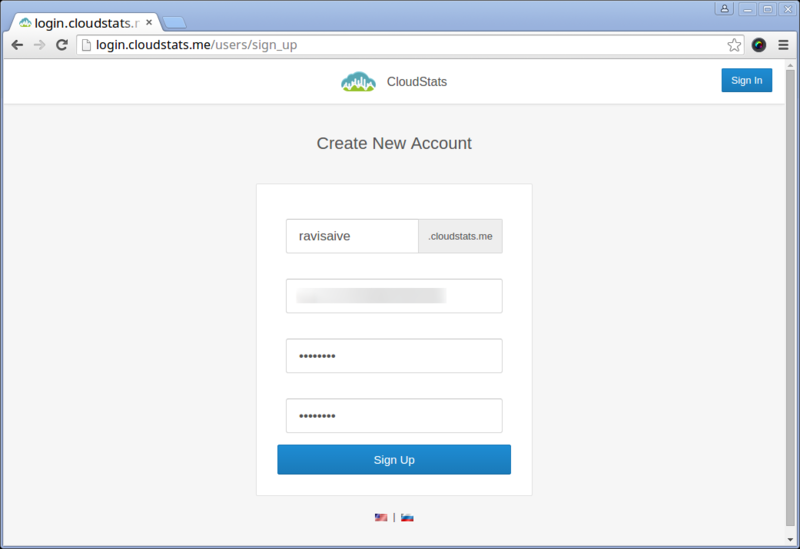 First, go to Cloudstat.me sign-up page and create a new account by adding your “Subdomain” name, it could be anything like your company name or website name. For example - ‘ravisaive‘. 2. 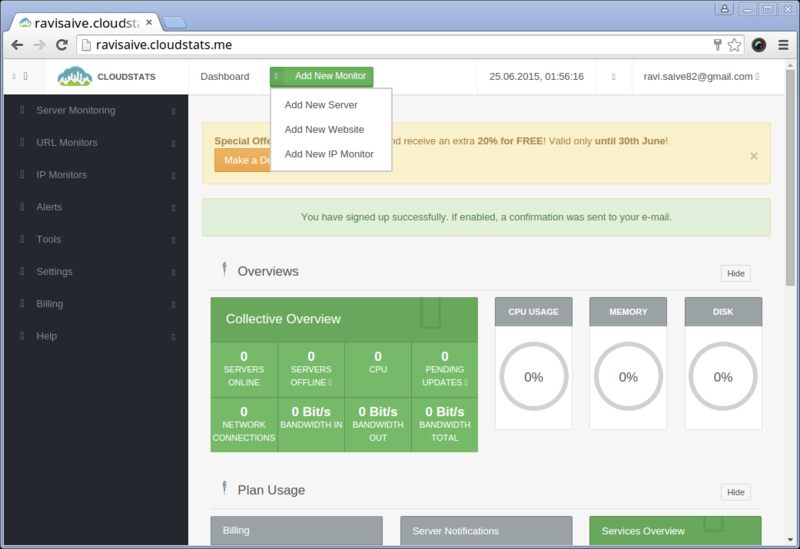 After you sign-up, it will take you to the CloudStats Dashboard, from here you can add your server for monitoring. To add new server click on “Add New Monitor” and select “Add New Server”. 3. 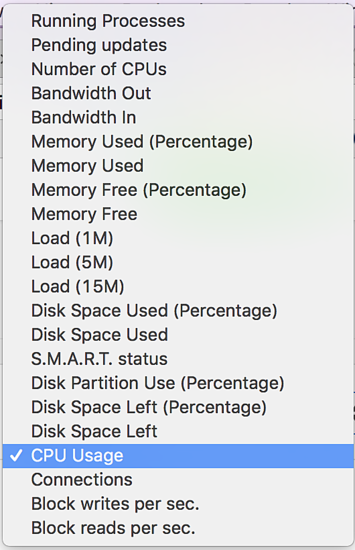 Select your server OS (Linux or Windows). 4. 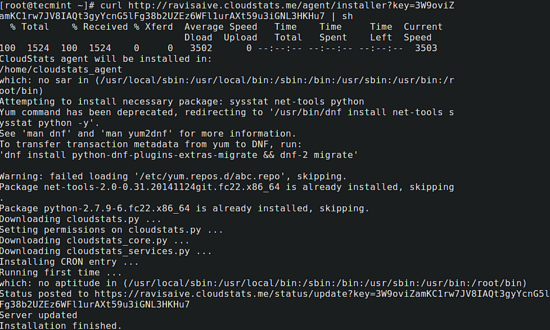 Now login into your server and copy the presented command into the terminal interface (SSH) of your server and run it. After the agent installation is finished your server will show up on your CloudStats Dashboard and will start generating statistics every 1 minute. 6. 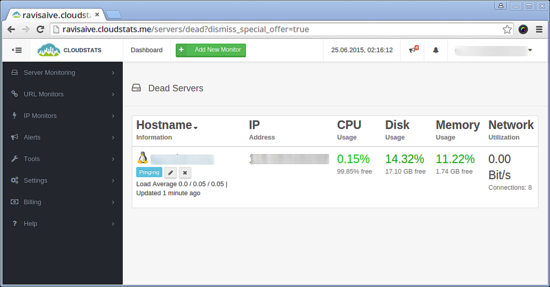 After setting an agent you can set alerts for your server monitoring. Go to “Alerts” and select “New Alert”. 7. 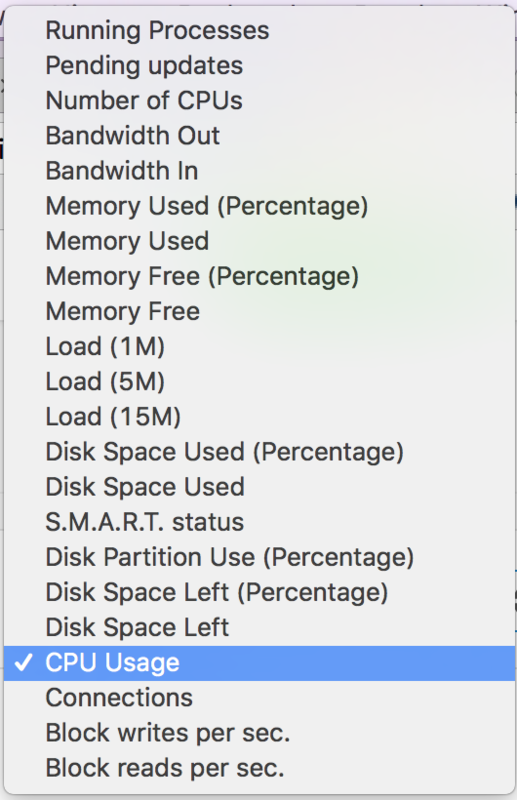 Then you can set the alert you need by choosing the alert, by pressing “When”, and choosing necessary values, users who you wish to alert and targeted server. 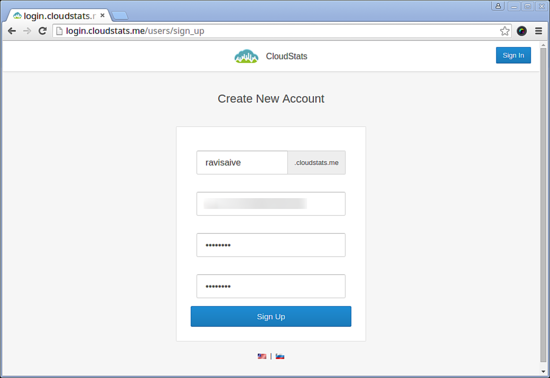 By default CloudStats allows you to monitor 1 server, 1 URL and 1 IP address completely for free, but bulk discounts would apply if you have more than 20 servers and you also get 24/7 support. I'm supposed to run an installer, from a cloud server, that I don't manage, which allows remote ssh access into my 500 servers, without having a contract that includes liability from the provider in place? The agent does not allow any remote access functionality if not enabled otherwise. It is Off by default and agent has no possiblity for incoming connections unless you specifically allow that. I would like to know if it sends SMS Alerts for any peak usage or downtime faced on the server side.